There’s a certain sting to realising that not only have you spent years waiting for a game to be released, but that all the time was for nothing when it’s announced that said title has been cancelled. The gaming landscape is littered with such examples, from Highlander through to The Last Guardian. For reals, that game is never going to be released and we’ll see Max Payne vs Alan Wake before Sony ever confirms that sad truth. Here’s five more games which aren’t arriving. Ever. 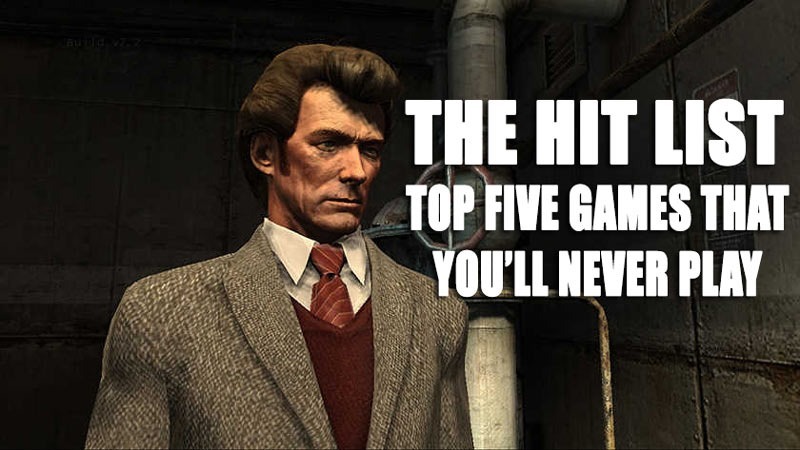 If you can’t watch the video above, we’re talking Dirty Harry, Streets Of Rage, Command And Conquer: Tiberium, The Avengers and Star Wars 1313. All great-looking games, murdered in clod blood by internal squabbles, bankruptcy, hostile takeovers and what the fiddly f***ery of the highest order. So which game were you looking forward to then, that got the chop?